ChrisNik designed their Hound Dog to find the positive (+) polarity at the top of ferrous metal objects while ignoring the negative (-) polarity found at the bottom. 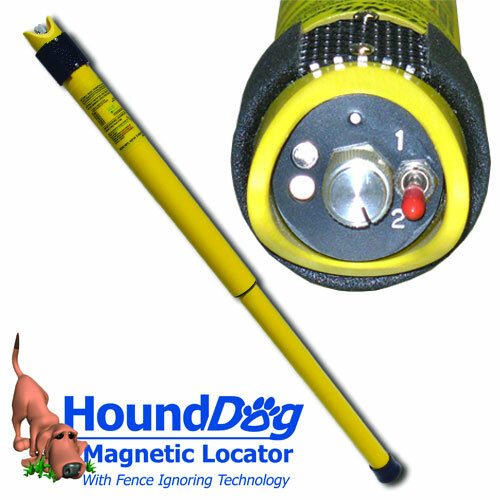 This allows HoundDog to ignore the bottom of a fence and easily find the top of buried magnails, rebar or other ferrous survey markers. 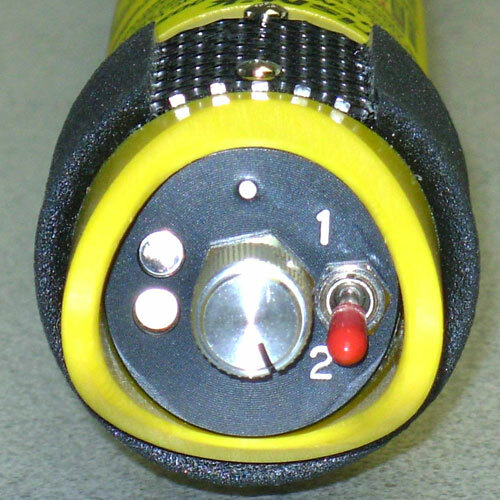 Setting 1 ( Normal Locator Mode) Detection of metal objects, (+) or (-) will be indicated with the familiar audio tone and red light. Setting 2 (Fence Ignoring Technology Mode) When detecting a negative (-) or an object like the bottom of a fence, a green light comes on and emits a low steady audio tone ignoring the bottom of a fence. Then when detecting a positive (+) or an object like the top of a survey marker a red light comes on and emits the normal locator audio tone. Helping you easily find your survey marker.